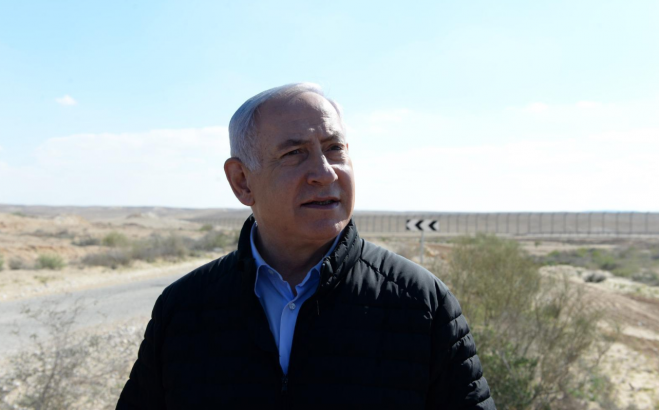 Prime Minister, Benjamin Netanyahu at the Israel-Egypt border, 7 March 2019. Image from Twitter. 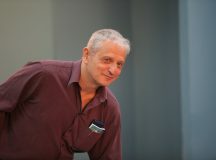 In this Fathom Forum, journalist and writer Anshel Pfeffer, author of The Turbulent Life and Times of Benjamin Netanyahu (2018) argues that the upcoming elections are primarily a referendum on the Likud leader, and believes that a post-Netanyahu era – which will either happen following the elections or due to the prime minister’s legal difficulties – will allow the Israeli political system to renew itself. Israeli elections always have two stages: the stage until Election Day; and then the horse-trading and forming of coalitions afterwards. And in an unprecedented way, Prime Minister Benjamin Netanyahu has already won the second stage in the sense that he is first leader who has already formed his coalition in advance. Why? All the parties in the coalition – including the ultra-Orthodox, who normally observe a neutrality code and don’t express support for a prime minister – have already pledged their allegiance to Netanyahu in advance. And if the numbers add up after Election Day, then he has a coalition. And he has already said he wants to copy and paste his current coalition with in his next government. Those party leaders know that for their own voters it is imperative for them to show they’ll support him. This is not an election about policy or ideology. Rather, it’s a referendum on whether Netanyahu will continue as prime minister. And if you’re not part of the Likud, or the recently merged Blue and White, then the only way you can define yourself is by either being for or against Netanyahu. The issue of ‘yes or no Netanyahu’ is so visceral that this is the only way parties are defining themselves. For example, New Right leader Naftali Bennett claims that only a strong New Right will keep Netanyahu true to the rightist path. And the ultra-Orthodox parties, which historically would often adopt a wait and see policy, are coming out in support of Netanyahu. And it’s the same with the opposition – Blue and White, Labor and Meretz are competing over who can convince voters they have a better chance of beating Netanyahu, or at a minimum not entering a coalition with him. The argument is not over solving the Israeli-Palestinian conflict, or the economy, or social ideas. It’s about who can get rid of Netanyahu. I’ve known Benny Gantz for 15 years, and there is very little to say about him. As generals go, he’s probably the most boring general I’ve interviewed – not necessarily in the bad sense. He’s a good guy – no enemies, no taint of corruption, no discernible views either way. 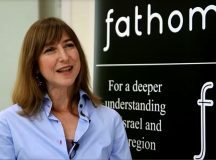 Yet, if anyone had asked members of Israeli military General Staff which of their colleagues would be most likely to become prime minister, none of them would’ve said Gantz, at least certainly before he became Chief of Staff, (and he only became Chief of Staff by accident as two people above him were tainted by scandal). But the next prime minister of Israel is also likely going to be an accidental figure. Because Netanyahu has dominated politics for so long, there isn’t a clear process of a successor. Neither Likud nor the opposition parties have been able to nurture a successor from within their ranks. The Labor Party has been hindered by a long series of leaders unable to say what Labor is about and what centre-Left politics should be about. Current leader Avi Gabbay is a newcomer primarily suffering from the failures of his predecessors. When Netanyahu falls, whoever replaces him will be the person fortunate enough to be there at the right time. And he’s currently bringing himself down. The slow trend of soft-Right voters who are moving to Blue and White are Likud-niks at heart. But they are fed up with Netanyahu and are prepared to vote for the centrist party because they want to refresh Israel’s leadership. Many people who generally vote Likud may not want that this time – although no one is saying it out loud, and whoever wields the sword against Netanyahu will not be the next leader. But there are enough disgruntled Likud voters willing to vote elsewhere, as demonstrated by the 10 seats Kulanu received last time out. 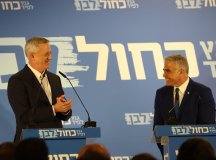 And Gantz happens to be the lucky beneficiary – but not because he’s the most suitable candidate after Netanyahu, and certainly not because Blue and White will exist as a party a few years from now. The natural cycle of centrist parties is normally two elections, and Blue and White have a poison pill clause that after two and a half years Gantz will make way for Lapid (for which there is no formal handover process within the Israeli political system and an orderly Gantz-Lapid transition is far from clear and may tear the party apart). But Blue and White isn’t really a classic party in the sense of Labor or the Likud. It doesn’t have a central idea. Rather, it’s a project to replace Netanyahu. And the end of Netanyahu may also represent a cathartic moment in Israeli politics. It will allow the entire political system to renew itself, including Likud, which today is just a platform for Netanyahu. Labor and the rest of the parties on the political spectrum may finally be able to work out what they’re for. The establishment of the Blue and White party is a moment that allows all of this to happen. Gantz is a newbie to politics and a blank slate – everyone wants to paint their aspirations on him. But he really is just a man who has perhaps come along at the right moment, and the fact he’s a general means he can challenge Netanyahu’s ‘Mr Security’ title. 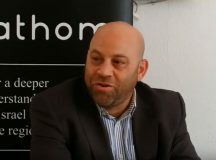 We are at the end of the Netanyahu era – whether imminent, or a few months or year down the road – and Israeli politics will begin afresh and we can’t predict how that will look.